Perhaps due to their smaller size, many believe that private planes simply can’t handle inclement weather as safely as commercial airliners. This is a myth, with the opposite actually being true. 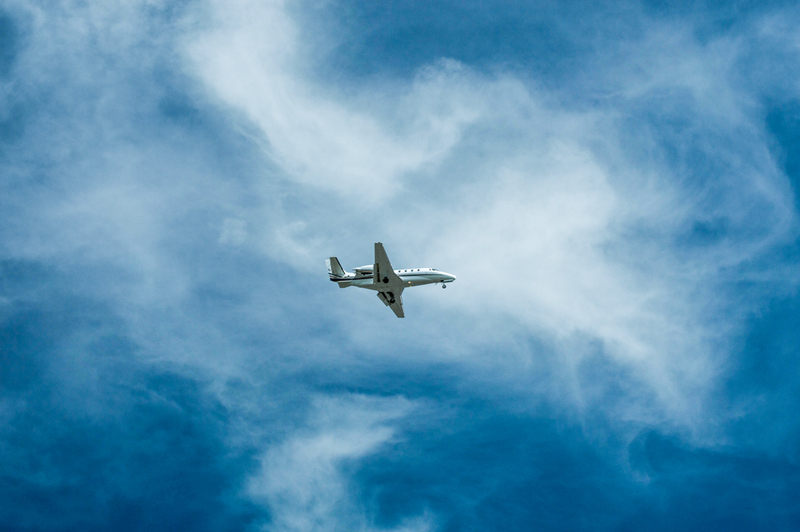 Due to their smaller size, private planes can fly higher than commercial planes, which means they can fly above the bad weather rather than through it. In addition to this, private planes can climb to their maximum height faster than commercial planes. This means that flying through that weather to get above it happens more quickly, too. The truth is commercial flights are landed every day due to medical emergencies, unruly passengers, and more. Many think this isn’t possible with private jets because they don’t have the same kind of access to airports, but this isn’t entirely true. Private planes actually have access to more airports so they can land whenever or wherever they need to. Commercial airliners are incredibly large, and as such, only a limited number of airports have the capacity needed for them to land and take off. Private jets don’t have this limitation so if something happens in the air, the plane can land at one of the many smaller airports along the way. Getting into an airplane, whether it’s a commercial plane or a private jet, is a frightening experience for some. Sometimes the only comfort is knowing that airplanes are highly regulated and planes must follow FAA standards. Many believe private jets don’t have to follow these same regulations, but they, in fact, have to follow the same regulations as commercial airliners. When a charter operator is highly sophisticated, they often have to follow even stricter regulations than commercial airplanes, which is good news for anyone worried about the risks of flying on a private plane. This myth doesn’t involve actual danger, but anyone that has ever missed a flight knows how disruptive it is. While potentially missing a flight is a reality when flying commercial, it doesn’t happen with private jets. Those boarding private planes don’t have to go through TSA’s security screenings, metal detectors, or even a gate. Passengers simply have to drive up to their plane, get ready to board, and take off in just a few minutes. For those that can’t take the risk of missing a flight, private planes from Las Vegas provide the answer. When planning for your next trip, plan for luxury. Take a private jet from Las Vegas to arrive in style, and eliminate the many risks that come with commercial travel. At Cirrus Aviation, we ensure each of our luxury private jets exceed the safety regulations of the FAA, and always plan routes that will get you to your destination safely, and more quickly. Call us today at (702) 472-9714 or fill out our online form to learn how you can make your next trip even better!